Fall is here, and my fashion creativity is overflowing with so many ideas to dress for fall. The colors are very vibrant, the layering, the boots, ahhh it is the ideal season for stylists at heart. An essential accessory for me to wear is a hat. I have to confess that I am obsessed because of its versatility. You can wear it all seasons to complement your Fall outfit. Different shapes, materials, and hats styles for every taste. 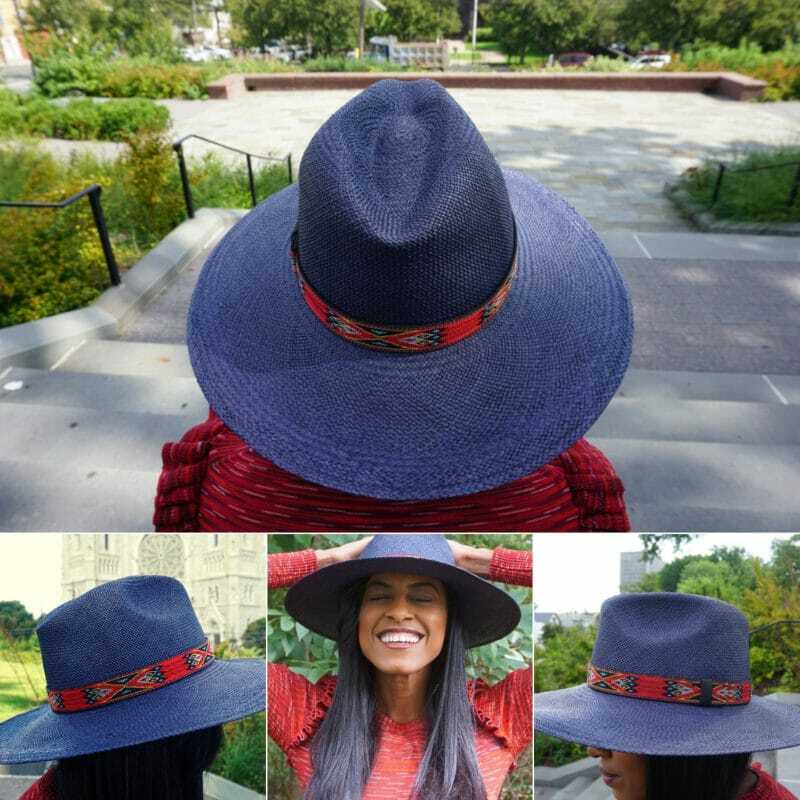 Women’s hats are worn for countless reasons: as weather protection, as a fashion statement, for religious purposes, and to identify social status. The first image of a hat comes as early as 3000 BC in Ancient Egypt, a man wearing a conical shaped hat. Since then, Millinery the art of making hats has been evolving passing from generation to generation. Let me introduce you to Tenth Street Hats, a startup company part of Dorfman Pacific, founded in 1921 by Jack Dorfman and Arthur Hyman in Oakland, California. Their hats are sourced globally by their Development Team and manufactured worldwide. Their team has grown through the years, but they proudly remain as a Family-run organization. As advertised in the company website, “Whether aiming for a vintage look or a casual day at the ballpark, a well-worn hat can help make a Fall outfit anything, but ordinary” and Tenth Street Hats make sure to deliver that and also follow Fall hat trends. Materials: Cotton, Wood, Felt, Straw, Nylon, Polyester, Raffia, Knit, Fur, Metal, Leather. Styles: Bowler/Derby, Fedora, Beret, Panama, Cowboy, Floppy, Outback, Bucket, Boater, Cloche, Fascinator, Baseball hat, Cartwheel, Breton, Turba, Newsboy, Beanie, Trapper, Porkpie, Pillbox, Fez, Top hat, Visor, Pith, Ivy/flat caps, Gambler, Homburg, Booney. Crown shapes: Center Dent, Tear Drop, Diamond, Oval, Flat Top. Start with measuring your head an inch above your ears. A good spot also is the widest part of your head but it is a personal preference how you usually wear a hat. The sizes go from 6 3/4 to 8, and the fit varies depending on material and manufacturers, make sure to read the hat specs before ordering. 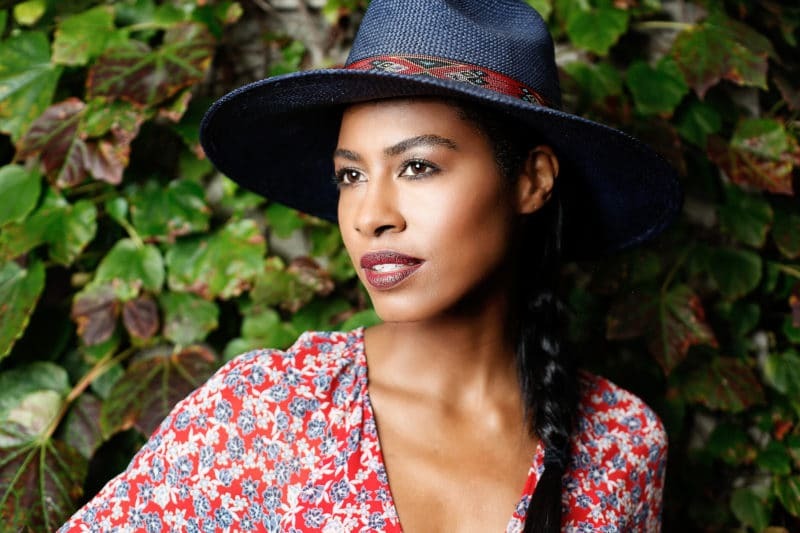 – For a long shaped face try to avoid hats that sits high on the head or the ones that add too much height. 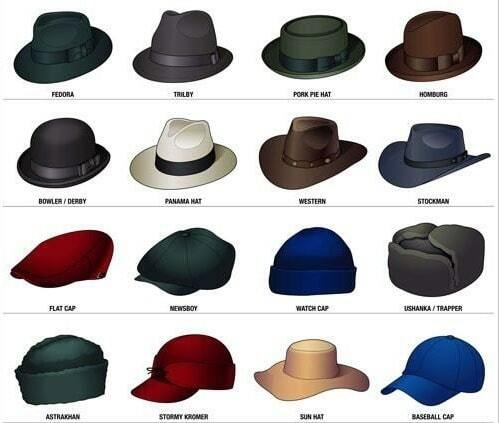 Best options are Wide Brim, Berets, Bowler. – Round faces look better with tall hats and straight brims. Options to consider are Newsboy, Fedora and Flat Cap hats. Avoid Beanies and slouchy hats. – For square faces rounded hats and asymmetrical brims will flatter: center dent Fedoras, Bowler, baseball caps and Beanies are a good pick. – For Heart faces any medium brim hats works, the key is to balance out a broad forehead. 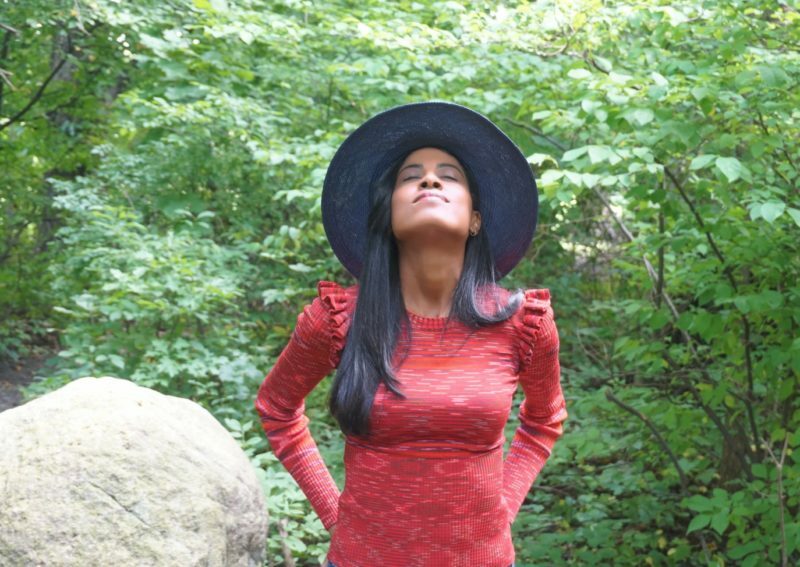 Cloche, Cowboy and Pillbox hats are perfect. – Oval faces are perfect for any styles, worn straight across the forehead. 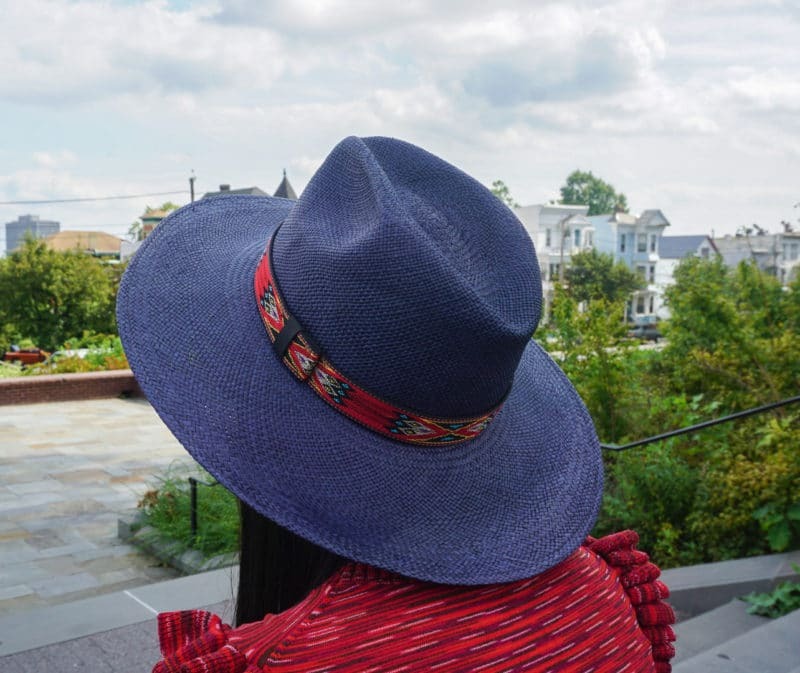 My pick from Tenth Street Hats inventory: Indio by Brooklyn, a navy Wide Brim Panama Safari hat, handwoven made with Ecuadorian Straw and trim with a Navajo woven band. It is the perfect fashion statement we all need. 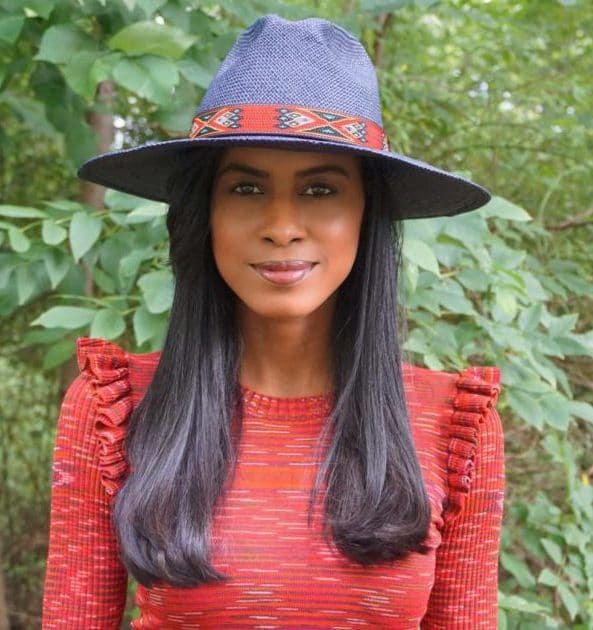 I wanted to create a Fall Bohemian Look, so I styled my Indio Hat with tall brown boots and a floral dress. For a more casual look pair it with jeans and a colorful pullover. The way you should pack your hats depends on the shape and material. The softer the hat is, the easier is to pack, ex. Raffia, Cotton, Wool, Soft Straw. Avoid packing hats with a rigid form like Panama hats without a proper hatbox. There are a few methods recommended depending on material and hat shape. – Folded in Half or Taco Style: Best for Safari, Cowboy, Visor, Outback, and Soft Wide Brim hats, ex. Raffia. – Stuffing the crown with clothes: This is great for more sturdy hats, making sure the brim is down and packing around. Best for Fedora, Boater, Cloche, Trilby hats. – Rolling up: The best technique for soft materials like Cotton. It works well with Booney, Bucket, Berets, and crushable Wool Hats. The way you clean your hat will depend on the material it is made of. Make sure to check the label for specific care and cleaning instructions. Leather hats: can be spot cleaned with a leather cleaner. Straw hats: can be gently brushed, Tenth Streets recommend to start with a clean, dry cloth and wipe away any surface dirt, dust, and debris. If more is needed, then use a damp cloth and wipe taking into consideration the weave pattern. Let it air dry in a cool ventilated area avoiding direct sunlight. Cotton hats: can be hand wash with mild soap and water. Felt and Wool hats: can be brushed with a soft bristled brush or soft sponge. Make sure to take care of your hat, storing and cleaning it as recommended to ensure durability.